"I proceeded to just have my mind blown," said Christina Russo. A Massachusetts grocery store employee is stopping customers in their tracks at Russo’s, a 100 year old specialty fruit, vegetable and flower company in Watertown with his beautiful operatic singing voice. Gilly Assuncao, originally from Brazil, said he used to be a professional singer in Brazil. Since he moved to the United States two years ago, he hasn’t continued with his passion, he said, and very few people know about his background. "My biggest dream is to study music at Berklee [College of Music] in Boston,” Assuncao, 23, told ABC News. "But it’s really expensive and my family cannot help me with that and being an international student makes it harder." His stunning renditions of classical opera and Christmas carols have gone viral since Russo’s began posting videos of his performances on their Facebook page. "My dad loves music and always plays classical music in the store. And during the holidays he likes to have live opera and classical Christmas songs performed for our customers,” one of the owners’ daughters, Karen Russo, told ABC News. On Friday night, Assuncao stepped in to help the musical act the store hired with their sound check. Once his voice started echoing through the aisles, all the employees who had stayed late to help close the store knew they had stumbled upon something special. She said all of the employees of the family-owned business were entranced by Assuncao’s singing ability. Assuncao said he has been overwhelmed and completely shocked by all the attention. 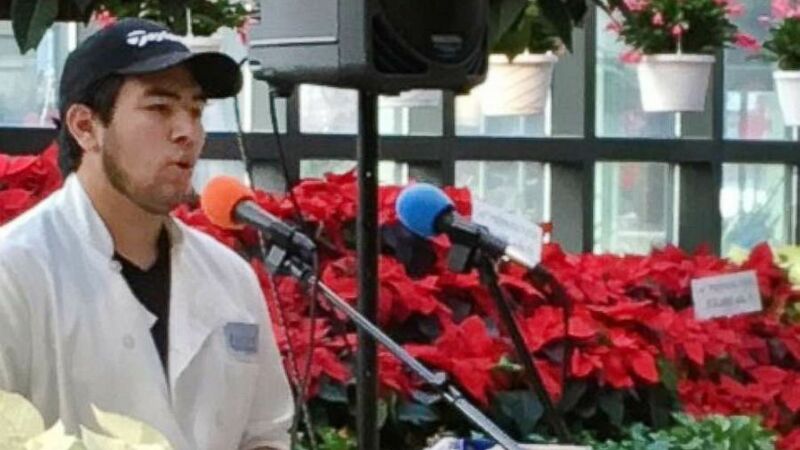 (Courtesy Karen Russo) Gilly Assuncao, originally from Brazil, stopped customers in their tracks at Russo's Farmers Market in Watertown, Massachusetts, with his beautiful rendition of "O Holy Night." Store owner, Tony Russo, said he’s proud to employ such a stand-up young man. "He didn’t have the perfect childhood. He didn’t have the perfect adolescence," said Tony Russo. "Everything was the opposite of that and he survived that. He deserves some chance in life like this. He’s got a lot of talent. He’s a decent, decent young man, and he’s got a great talent."